The Glam. The Colours. The Excitement. 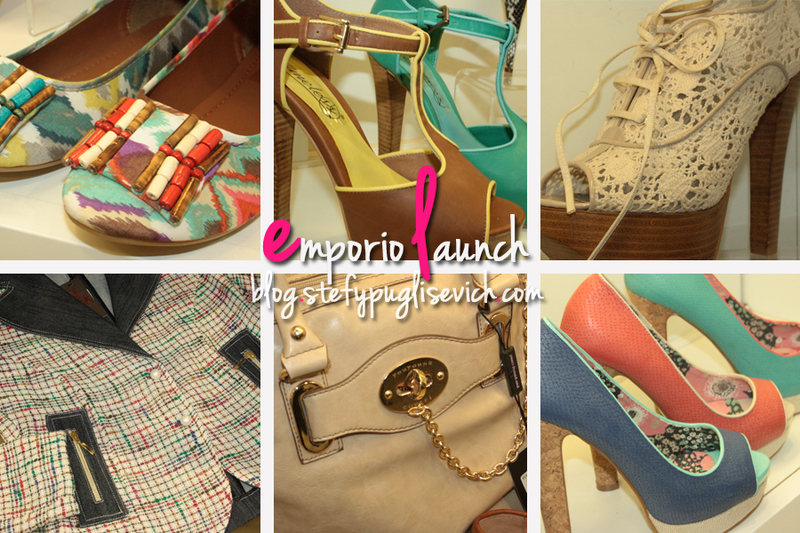 The Official Launch of the store EMPORIO, SLIEMA. I was honored to be accompanying my fashionista in crime, Lara to attend the official Launch of EMPORIO in Sliema two weeks ago, and due to my macbook being at the doctors for a operation i have had to delay my post until now. Claire Formosa, the owner of EMPORIO briefed us on the WHY she decided to bring this brand to malta, simply because malta is expanding it's veriety. EMPORIO caters for plus sized ladies up to an italian size of 54, which is very impressive as the store includes a selection of basics tee's to suits to gowns for any occasion. 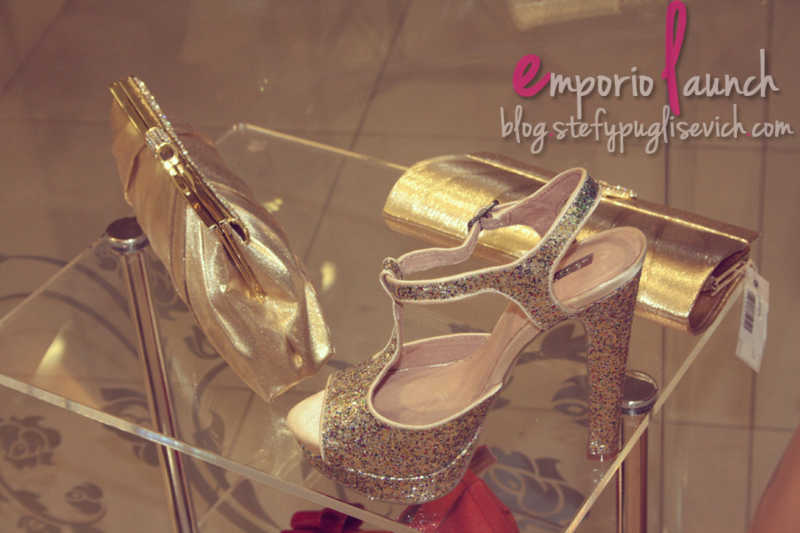 But non the less i was ecstatic for the accessories, as you can see above and below, pictures show the bright bold colours and styles from EMPORIO, affordable prices for designer brands, from lace to bright colours to tweed to floral, you can expect anyone to love a selected shoe from EMPORIO. Without further introduction, below Lara and I are photographed chatting to Claire Formosa, owner of EMPORIO whilst she fills us in about the brand and also a photo of her with us the bloggers at the event. Your so pretty! Lovely blog! i know Gem, they are simply gorgeous!! !